Online Application for DEI Entrance Test 2019 will start in April, 2019. Candidates can get All Important Updates regarding DEI Admission Form 2018, Entrance Exam Online Application Form from this Page…..Download Official Information Brochure for DEI Admission 2019-20 & Apply Online from link given below.. The Government of India conferred the status of a Deemed University on Dayalbagh Educational Institute (DEI), Dayalbagh, Agra under Section 3 of the University Grants Commission Act by notification No.F.9-3/78-U-3 dated 16th May, 1981. 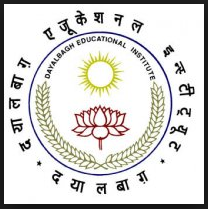 Dayalbagh Educational Institute or DEI is an educational institution located at Dayalbagh in city of Taj Mahal, Agra. periphery.The Institute initiated a major program of Distance Education to benefit students residing in remote tribal locations. AGE LIMIT: Maximum age 21 years (24 for SC/ST) as on 1st July, 2018, except forfemale applicants and applicants for B.Ed./ PostGraduate courses; B.Tech. (Part‐time); B.Voc. ; Etc. 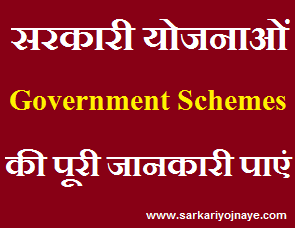 For Diploma in Engineering and Polytechnics maximum age limit is 22 years (25 years in case of SC/ST). Eligibility Criteria : Minimum Educational Qualification for Undergraduate Courses is 12th/ Intermediate while for Post Graduate Courses is Graduation etc. Download Detailed Information Brochure regarding Full Information for Eligibility Criteria for All Courses. Selection Process : Admission in DEI will be based on Cumulative Score of Academic Merit, Written Test & Personal Interview. Non‐Professional Courses : BA (Honours)/ BA (Social Science)(Honours)/ BCom (Honours)/ BSc (Home Science) (Honours)/ BSc (Honours)/ MA (Arts)/ MA (Social Science) /MCom/ MSc(Home Science)/ MSc : Registration Fee (Rs. 5) + Application Processing Fee (Rs. 225/‐) = Total: Rs. 230/‐ Per Course. Professional courses : BTech/ MTech/ BArch/ BEd/ MEd/ BBA (Honours)/ BFA/ BVoc/ MVoc./ MBA/ PG Diploma Courses/ Diploma in Ayurveda/ MPhil/ PhD : Registration Fee (Rs. 5) + Application Processing Fee (Rs. 265/‐) = Total: Rs. 270/‐ Per Course. a) Payment can be made online (Net banking or Debit/ Credit Card) using State Bank of India site mentioned above by choosing the option “State Bank Collect”. b) In case the payment is being made in cash, the applicant needs to download and print the challan from SBI site mentioned above and submit the fee in any branch of State Bank of India using this printed challan. Online Application/ How to Apply : Candidates seeking admission must apply on or before the last date using the submission of Common Application Form which is available on the Institute’s website http://www.dei.ac.in. Instructions given, therein, must be read carefully before filling up the form. Facility for online filling up of the Application Form would also be available at the Institute for which the candidates may contact Help‐ Desk Counter in the Institute. Applicants can apply for more than one course in one application form. In addition to the main Campus, applicant can appear for the Written Text at any of the location specified while filling the application form online for the specific programme. However, the Institute can assign any centre for the written test to the applicant as it deems fit. Paper‐based Prospectus alongwith the Application Form will be available at the Institute Counter. The filled Common Application Form with no enclosures must be submitted on or before the last date of submission. As with online applications, multiple courses can be applied using only one Paper‐ based Application Form. You can leave your query regarding Syllabus in the Comment Box. We will try to be responsive. Leave an email at Disha@govtexamalert.com for Assistance. What r the dates of online application forms of b.com (honours)….also provide me latest syllabus for written test ….